Argentina Discovery - Discover Jujuy: the weather. 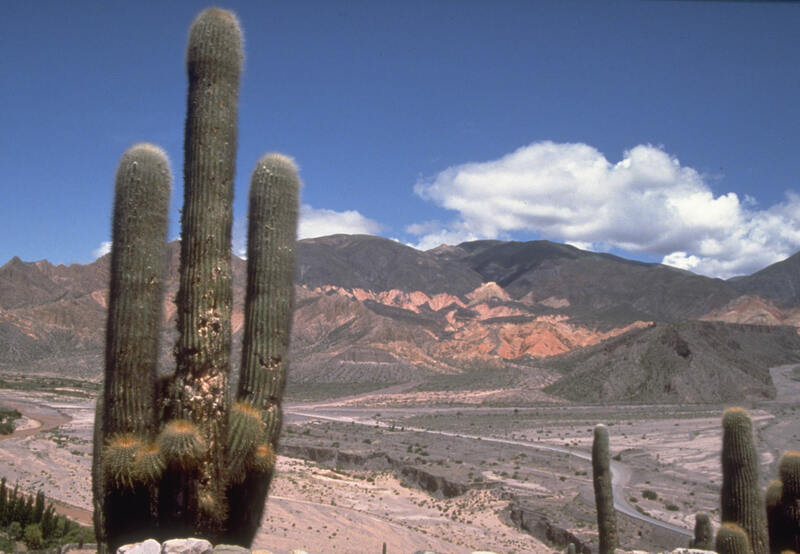 There are 3 main areas in Jujuy; the Altiplano, a 3,500 meters high plateau with peaks of 5,000 meters, covers most of the province. The Río Grande of Jujuy cuts through the Quebrada de Humahuaca canyon, of heights between 1,000 and 3,500 meters. To the Southeast, the sierras descends to the Gran Chaco region. The vast difference in height and climate produces desert areas such as the Salinas Grandes salt mines, and subtropical Yungas jungle. In spite of the different areas, the terrain of the province is mainly arid and semi-desertic, except for the El Ramal valley of the San Francisco River. Temperature difference between day and night is wider in higher lands, and precipitations are scarce outside the temperate area of the San Francisco River. 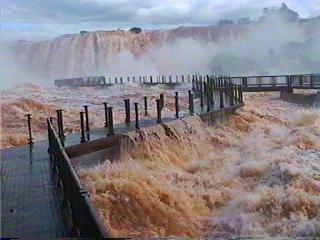 The Grande River and the San Francisco River are fed by the Bermejo River. The San Juan, La Quiaca, Yavi and Sansana are fed by the Pilcomayo River.